I was helping a good friend of mine recently with his Exchange 2013 server. 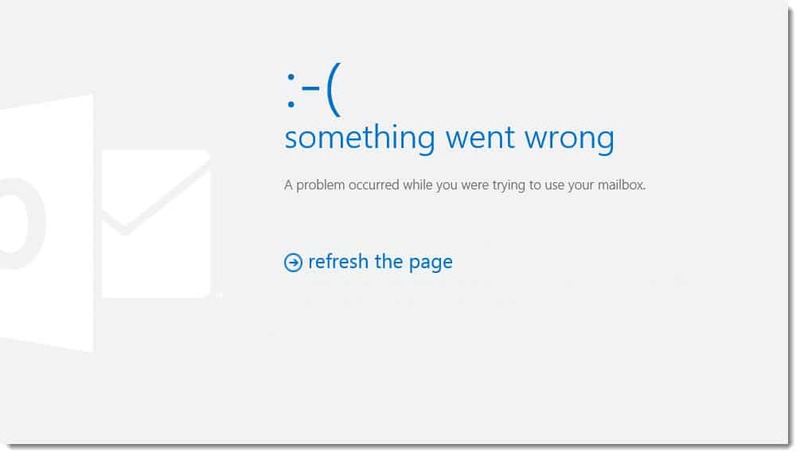 When he logged into Outlook Web App he would get the “Something went wrong” internal server error. Unfortunately, this is an incredibly generic error that can be caused by a variety of different problems. We decided to hit the Event Logs. Almost instantly we ran across several occurrences of this error. Sadly, ASP.NET Event ID 1309 is a very generic message. In fact, Event Code 3005 could be caused by any number of possibilities. Ruling the Event Code out we examined the rest of the error. We quickly found our answer in the Exception Message. I’ve highlighted the section below. Tip: Exchange MVP Jeff Guillet identifies another cause of Code 3005 in this article. Exception message: The file or directory is corrupted and unreadable. So, we had corruption. Not good! However, the corruption was not located in the Application Path listed in the error above. 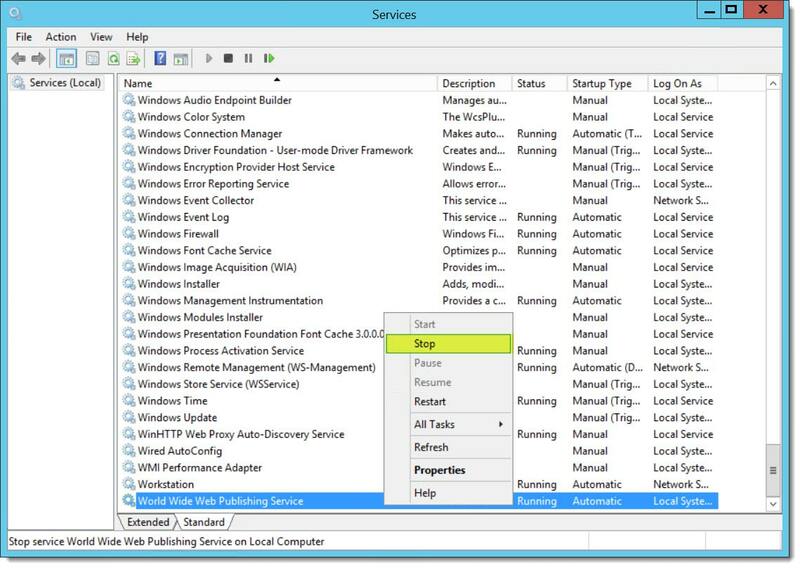 But instead in the .NET caches located under the Windows folder. Thankfully the fix is quite simple. Warning: You will need to schedule downtime for this server as the remediation requires you to stop the WWW Publishing Service. Navigate to the following folder on your Exchange server. 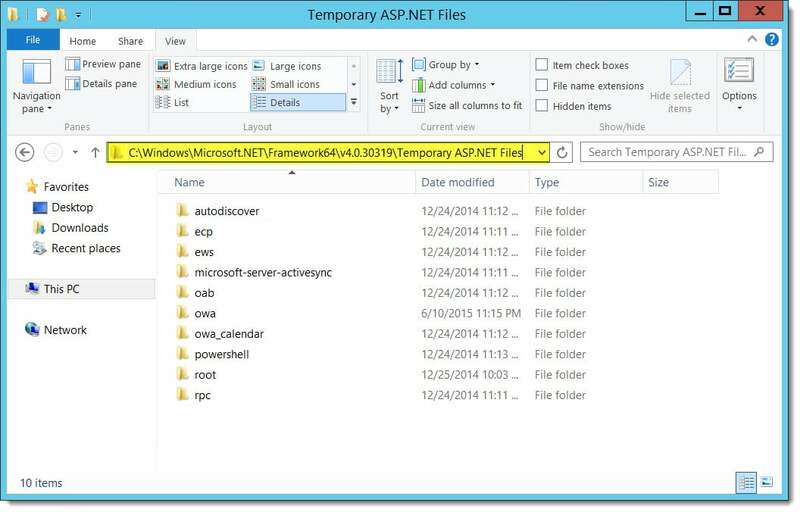 All files located in this folder are cached .NET files. For our particular issue, the corruption was one folder deeper — OWA. Go to Start >> Administrative Tools >> Services. 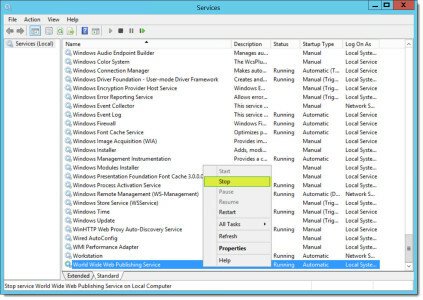 From the Services MMC, right-click the WWW Publishing Service and select Stop from the context menu. 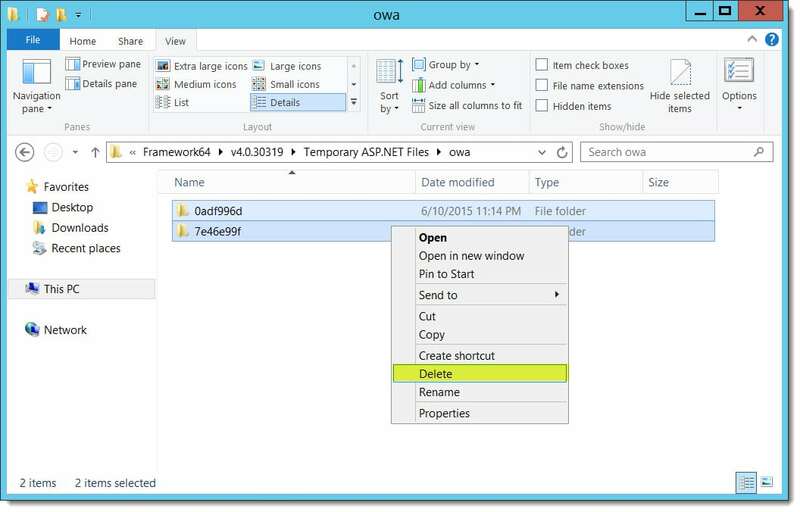 Once stopped, delete all files located under the OWA subfolder. 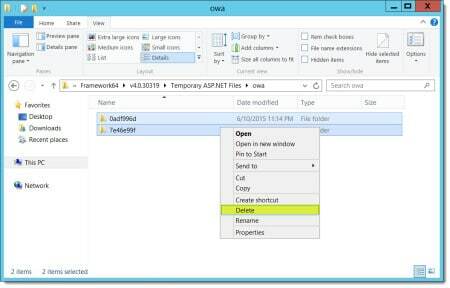 Don’t worry, the next time you log into OWA these files are regenerated. Once we did this we were able to log into Outlook Web App successfully. If you do run into this problem (and hopefully this fixes it) there is still one important question to ask; what caused your corruption in the first place? For us, it was a storage problem. But any time you encounter any kind of corruption it’s always best to perform a root cause analysis. Check your logs. Use the tools from your hardware vendor. Be sure to find the cause before it becomes a much bigger problem — like data loss. How about you? 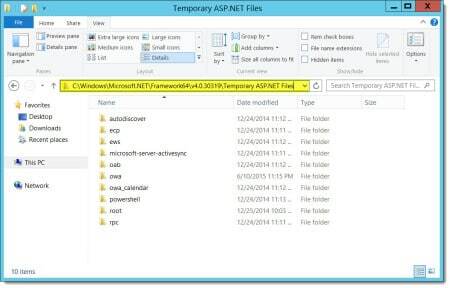 Have you experienced the dreaded ASP.NET 1309? What was your exception message and fix? Drop a comment below. Thanks, we had a similar issue with similar event log errors. In our case it was the EWS directory that was corrupted, but the fix was the same. Exception message: Session state has created a session id, but cannot save it because the response was already flushed by the application. Exception message: The performance counter process DSAccess should never be initialized as Single and Multiple instance type. The performance counter process DSAccess should never be initialized as Single and Multiple instance type. Thanks for this. Ran into the same issue for ActiveSync. This resolved it by deleting the same cache, only in the EAS folder. Awesome. Glad you got it resolved. Any idea how the corruption occurred in the first place. Last time I had this issue was a SAN problem. i has a same error with event id 1309 and event code 3006,but for me owa and ECP works file but active sync stops working,users do not get connected to active sync ,is this issue related with this below is full error. Exception message: A potentially dangerous Request.Path value was detected from the client (&). Hope you don’t have a virus. Good luck!